This wee lipgloss tube was a freebie with Marie Claire last month (the April issue with Katy Perry on the cover, if you happen to see it still in the shops!) - I did intend to review it much sooner so that you'd be in with a chance of being able to pick it up if you liked the sound of it, but as per usual life didn't go quite as planned and I'm only just getting around to it - sorry! Neal's Yard's description of this product makes it sound like the perfect mixture of lip care and colour all in one handy little tube: "Lipgloss with organic orange oil and antioxidant white tea, to moisturise, smooth and protect." With 94% organic ingredients, and a wealth of natural ingredients including Hemp Seed Oil, Sunflower Seed Oil and Evening Primrose Oil, this sounded like a really promising way to add a hint of colour and gloss to the lips, with the added benefits of moisturisation and protection! The tube is pretty basic; a clear plastic, squeezy tube with a dark blue screw-cap and an angled applicator for easy use, the Neal's Yard logo and product information are printed in dark blue to match the cap. 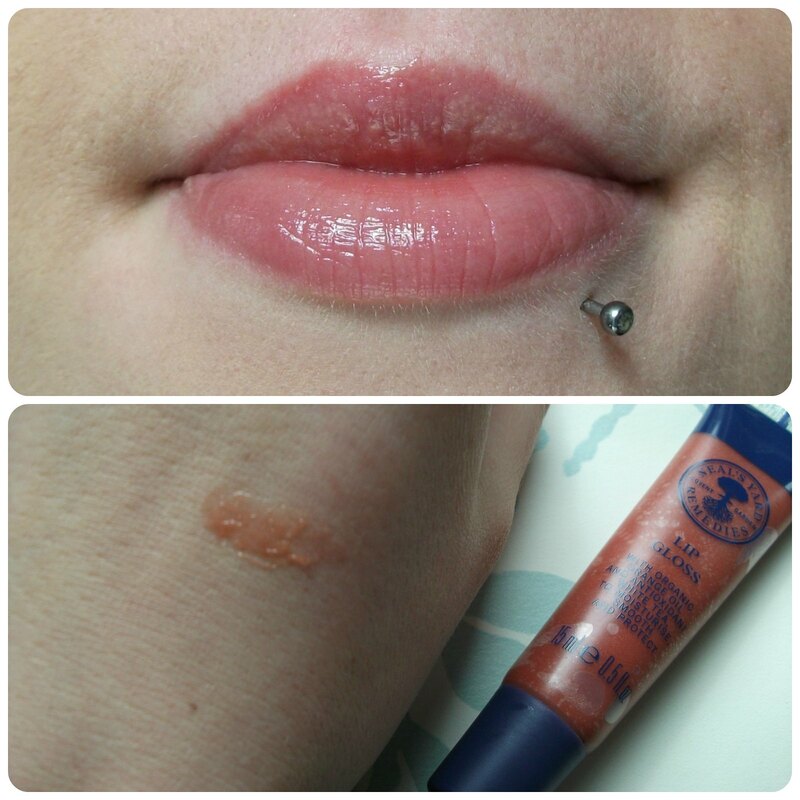 It's easy to squeeze the product from the tube, and it spreads easily across the lips. The first thing I noticed was the scent, a beautiful orange flavour which comes from the Orange Oil in the formula, which makes it really quite pleasant to use. The scent lingers on the lips and becomes a taste which I'm less keen on but it's not unpleasant per se. The shade I have, 'Goji Berry', is an orange-red with a slight shimmer in the tube and, indeed, when swatched on my hand. On the lips, however, it just appears as a lovely finish with no real colour added, making it perfect for a really natural look, but less so if you prefer to add some colour with your lipglosses. You could, of course, layer it over your lipstick of choice for the best of both worlds! My favourite thing about this lipgloss is how it makes my lips feel; smooth and moisturised, without being sticky in the slightest! I rarely wear lipgloss as I can't stand having sticky lips, but I've been reaching for this almost daily since getting hold of it, which says a lot for me. I don't find it lasts particularly well on the lips, around an hour or so, but I guess that's because all the lovely, moisturising ingredients are soaking into my lips and making them healthier - so I don't really mind reapplying. Neal's Yard Lip Gloss is available from Neal's Yard, priced at £9.50 for 15ml; it's quite expensive for a lipgloss, but then again it's cheaper than the likes of MAC's lipglasses and much better in terms of caring for your lips! The lipglosses are available in seven other shades so if 'Goji Berry' doesn't sound like quite your cup of tea, you should be able to find something to suit you! Did you pick up this freebie? 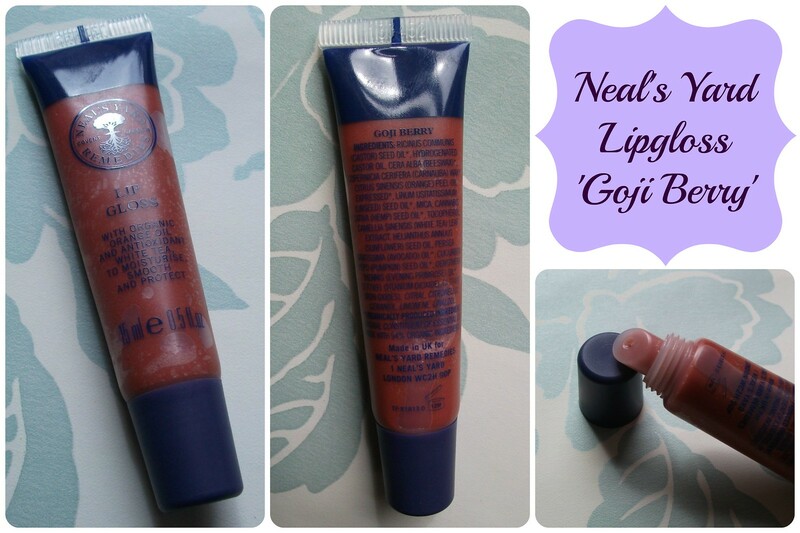 Have you tried any other Neal's Yard lipglosses? What do you think of 'Goji Berry'? What a gorgeous colour! That would be very wearable for everyday and looks quite moisturising. Yup I got that one with Marie Claire too! I saw these with the magazine too, I think it sounds really nice but I know deep down it would be just another lip product that falls by the way side for me as I have too many things at the moment.